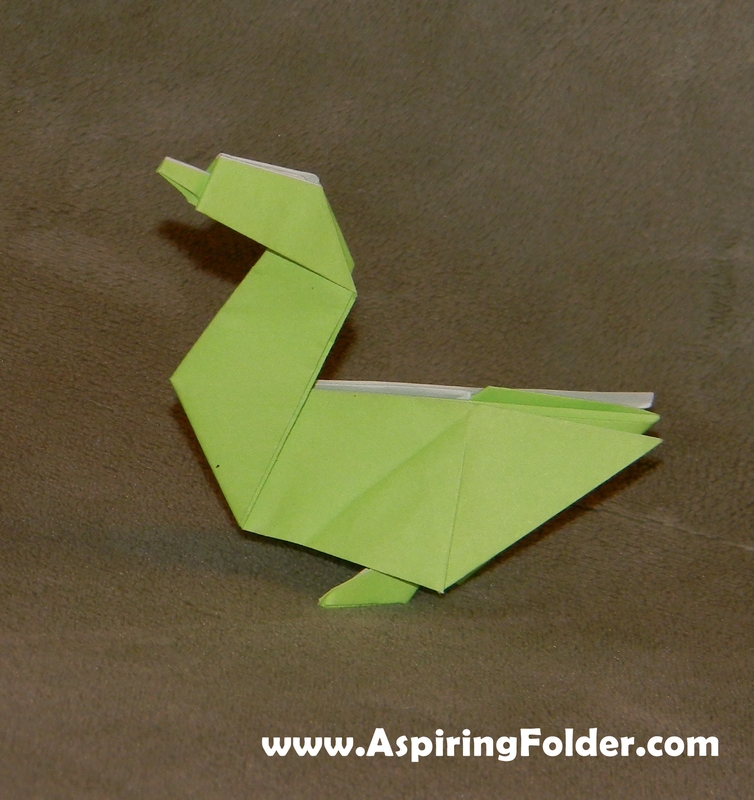 My last post had an origami duck that is swimming or sitting. This one has feet. You can find this model in the book Origami Treasure Chest . That’s a very cute origami duck!